Aquaman fans rejoice! The king of the seven seas is finally getting the spotlight in an upcoming animated movie from Warner Bros. Home Entertainment. Justice League: Throne of Atlantis, part of a series of DC Comics-themed movies, will trace the origin of Aquaman, who has been frequently ridiculed for his presumed obscure powers (like "talking to fish") and limited personality. Long overshadowed by his super friends Superman, Batman and Wonder Woman, the character got a makeover in 2011 as part of DC's "New 52" comic book reboot, showcasing his superior strength and leadership. Throne of Atlantis — to be released early next year on DVD, Blu-ray, digital HD and on demand — adapts a comic arc that pits the undersea nation of Atlantis against the surface world. Unlike the comic, the movie will focus on how young Arthur Curry discovers his aquatic heritage. Raised by his human father, when the movie begins he doesn't know that he is the heir to the throne of the watery kingdom. "We meet him at a low point in his life," says supervising producer James Tucker, who created one of the most beloved versions of the character, the jovial warrior on Batman: The Brave and the Bold. "He's a little bit lost. His father has died and he's always been an outsider, so the one person who had his back is now gone. When that Atlanteans instigate incidents to escalate a war with the surface world, he doesn't yet know who he is. As he discovers his true history he's going to have a lot of choices to make. It's definitely about him finding his own path." Though Tucker knows that Aquaman has a passionate fanbase — he's been hearing their pleas for a movie like this for years — he also knows that the general public may be a bit skeptical. "A lot of times with Aquaman people just focus on his powers and their opinion of them as being lame — which I don't believe — and that's all they think of him," he says. "Hopefully we've made him a person in people's eyes first. And then the powers and the telepathy with fish and all that can be put in perspective." The lead role is voiced by 90210 and Star-Crossed vet Matt Lanter, who earned his animation bona fides as Anakin Skywalker on Star Wars: The Clone Wars. 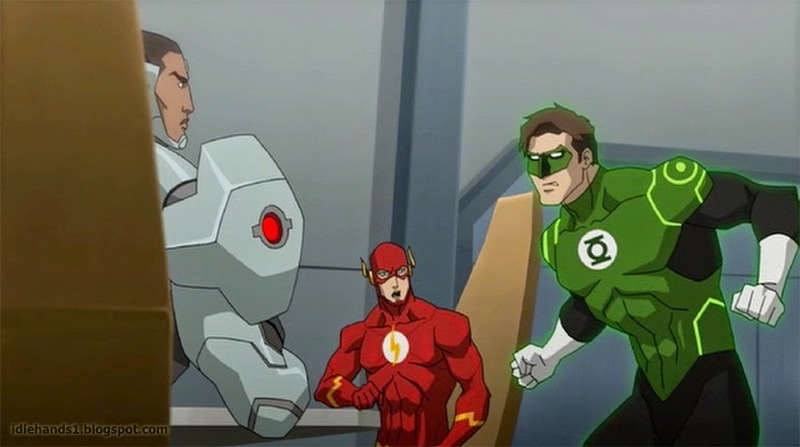 The film, a continuation of the story begun in last winter's Justice League: War, brings back much of the cast, including Jason O'Mara (Batman), Shemar Moore (Cyborg), Christopher Gorham (the Flash), Sean Astin (Shazam). 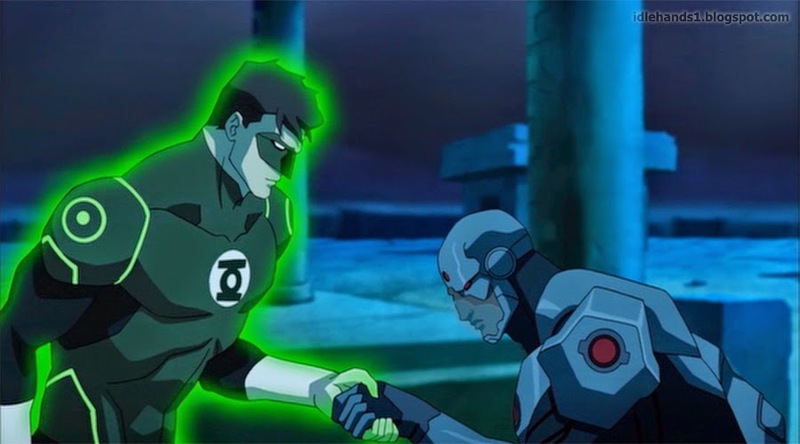 Several Warner Animation vets return to play in the DC sandbox, including Nathan Fillion (Green Lantern), Rosario Dawson (Wonder Woman) and Jerry O'Connell (Superman). Being Human's Sam Witwer, another Clone Wars alum, stars as Aquaman's devious brother Orm, who is behind the move towards war, while Sumalee Montano, who played Katana in Beware the Batman, plays the fiery badass Mera, Aquaman's future queen. Also back for this movie is character designer Phil Bourassa, whose version of Aquaman was inspired by the new comic book look created by DC Comics co-publisher Jim Lee. "He's got a little bit of a surfer dude quality in that his hair's a little unruly," Tucker says, "but he's got the stature and nobility that people expect from Aquaman." Last edited by CeltiC5-27; 07-17-2014 at 09:45 AM. I'm really excited for this! 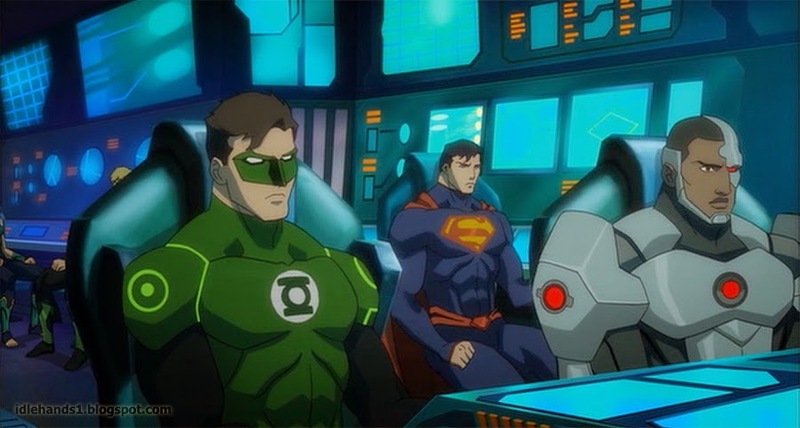 Despite its mixed reviews, I was a big fan of Justice League War and I'm glad this film will kind've be the sequel. 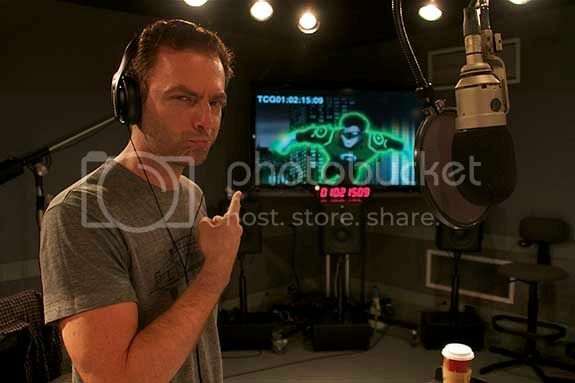 Also something really big to point out in this announcement is that Nathan Fillion will be replacing Justin Kirk for the voice of Hal. Now I really enjoyed Kirk's take on Hal, so I'm sad he won't be returning, but the fact that they got Fillion to come back makes up for it cause I really like Fillion too. Also something really big to point out in this announcement is that Nathan Fillion will be replacing Justin Kirk for the voice of Hal. The premise of him not knowing he's royalty sounds better already. There was some other things that made me eyeroll and not take the comic seriously, so I'm hoping more slight changes get put in to connect things better. Everyone should bow to GL! The new trailer is up! Still no release date but I'm really excited for this! I don't like some of the designs, but it's looking like a good story. The joke on his name was great. The animated film looks much better than the source material, which I really didn't care for. I like that DC is building up Aquaman and making him more of a badass. You're the first I've seen to not like Throne of Atlantis. This is the best trailer for any DC animation I've ever seen. Batman didn't need a chin strap. He doesn't have one in the books, so I don't see why he needs one in the animated film. It helps with the fit of the breathing mask, of course! He needs a breathing mask while in the Watchtower (see 1:08)? You know Batman, he likes to be prepared! 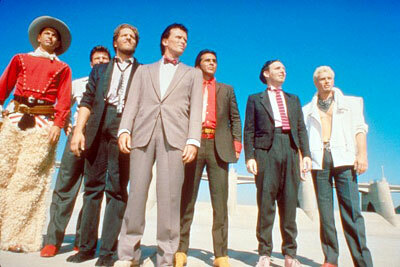 What if there's a decompression event? Just like Wonder Woman doesn't wear sleeves in the comics? It's fine. The reason why is didn't like it some much because it came off the heels of Flashpoint: Aquaman. I enjoyed that story so much better, where Aquaman was to marry Wonder Woman, in spite of being in love Mera, while his brother plots against him and wants to start a war with the surface dweller. There was betrayal, Mera's head was cut off by Wonder Woman. Throne of Atlantis, to me, is a rehash of that Flashpoint story and wasn't as compelling. I don't recall the Justice League being that involved in the story line.